One of my favourite genres is the dungeon crawler. Forming a party of heroes, and then inching my way around a labyrinth of of death, filled with monsters, traps, and, of course, loot, really appealed to the Dungeons & Dragons player in me. 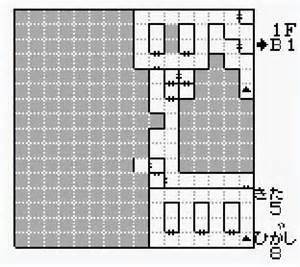 The dungeon crawler was one of the first examples of the RPG genre, because it could be built without requiring too much by way of processing power, while still providing a close approximation for the kinds of activities that you’d get up to in a game of Dungeons & Dragons. Related reading: Unlike the old Game Boy Wizardry titles, the ones you can get on PC are in English. Matt's review of a couple of them. Because dungeon crawlers were basically how RPGs were built back in the day, as a kid I spent a lot of time playing games like Might & Magic and the old SSI Dungeons & Dragons games on PC. What I didn’t know at the time was that the Japanese were also in love with the genre, and, even as they were crafting the foundations of a very different kind of RPG in the JRPG genre with titles such as Final Fantasy, Dragon Quest, and Phantasy Star, other Japanese developers were busily plugging away at the dungeon crawler. 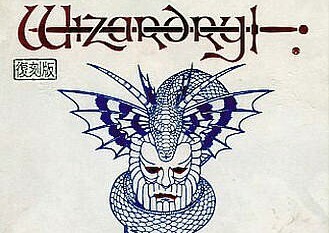 One of the oldest dungeon crawler franchises of all, Wizardry, was actually picked up by Japanese developers (and remains a Japanese franchise to this day), and they’ve been pushing out Wizardry on consoles for many, many years now. I only realised just how far this all went back when I was in one of the retro game shops on a trip to Japan and saw Wizardry games for sale on the Game Boy and Game Boy Color. These games are expensive by retro game prices; at least double almost anything else on the respective platforms, showing that they’re still very much in demand to this day. Wondering how this kind of game would actually play on such old consoles, I bought two of them; Wizardry Gaiden III on the Game Boy, and Wizardry Empire on the Game Boy Color. These games hold up so well today. They feel old to play, sure, but since the core fundamentals of the dungeon crawler hasn’t really changed in the many years since it first came into existence, a modern player weaned on the likes of Etrian Odyssey or Demon Gaze won’t struggle too much in going back to these. Wizardry Gaiden III on the Game Boy takes things right back to basics. Outside of dungeons, you’ve got a tiny menu of different locations in town to visit (for the most part, simply to heal your characters between trips into the darkened dungeon corridors). Enemies - which come thick and fast, with an incredible encounter rate - are basic pictures with the barest hint of animation, and environments are simply enough that they can actually become confusing to navigate, because you can’t see much more than the walls immediately around you. But this took me right back to my days of playing similar games on PC, and I loved it for that. This is quite a long game by Game Boy standards, with quite a few dungeons to slowly work through, and an intense difficulty level that slows progress right down. It’s a game that’s purely about the grind, in other words, and while I know that that’s the kind of thing that puts a lot of people off, it’s how these games were built back then; people who think Etrian Odyssey and the like are difficult have never experienced the real thing. Wizardry Empire is much the same deal, really, only that it uses the Game Boy Color’s additional power to give dungeons and enemies a greater sense of definition and detail. It naturally makes the game much more immersive, though on the other hand, you can’t play this one on the Super Nintendo via the Super Game Boy, either. These old dungeon crawlers had virtually no plot to speak of. There was a vague pretext thrown at players to direct them to one of the game’s dungeons, but really, what Wizardry games were about was about the exploration. Each dungeon - across the entire series of the franchise, and including these two games - was meticulously pieced together to be a genuine labyrinth. Players that weren’t paying attention to their maps would find themselves disorientated and lost quite easily. It could be unnerving finding yourself deep in a dungeon, and not quite sure where to progress next, when your party's health was running down, and your spellcasters were out of their powerful magic. There is a fundamental intensity to older dungeon crawlers, and though these two Wizardry titles didn’t have much by way of puzzle solving, it is nonetheless quite rewarding to make it further into each dungeon, slowly uncovering its secrets as you battle your way through the endless hordes. Unfortunately these games are menu heavy, and if you do happen to find yourself in Japan and with an opportunity to buy a copy, keep that in mind; the Japanese used in those menus isn’t overly complex, but without understanding how all the menus work, it can be impossible to dig into the game. These games were, sadly, never released into English, though there were are some fan translations floating about, as you can see from the video below. Related reading: On having fond memories of using grid paper in games. Retro reflections time! The Game Boy Wizardry titles have held up better than most, because the genre has always been a simple one that hasn’t required substantial processing power for a console to run. I tell you what, though; it would be lovely if the Wizardry titles - which are still being produced in Japan - could be localised. It’s incredible that, for all the popularity of other crawlers, the grandfather of the genre, and one of the most recognisable RPG franchises of all rarely, if ever, appears in English now.